Catherine DeUgarte, MD is a highly-recognized and experienced specialist in the treatment of infertility. She completed her combined BA/MD program at the Boston University School of Medicine, followed by an OBGYN residency at UCLA and a combined fellowship in Reproductive Endocrinology and Infertility at UCLA/Cedars Sinai Hospital in Los Angeles. She then joined the Henry Ford Medical Group in Detroit and held a position as a senior staff physician in the REI division. She joined her first practice shortly at PFCLA after becoming certified in obstetrics, gynecology, reproductive endocrinology, and infertility and is thrilled to be launching her own practice, CMD Fertility. The successes of Dr. DeUgarte's treatments have helped her attain a position as a clinical professor at UCLA where she is teaches residents and fellows weekly at the OVMC Infertility Clinic. She received a number of awards for her contributions in the field of infertility and sexual dysfunction. In June, she received the Service Award from Fertile Action for her selfless service to oncofertility patients. Fluent in multiple languages, Dr. DeUgarte speaks English, Spanish, French and Romanian. Dr. DeUgarte serves patients throughout Los Angeles County, as well as many international patients. 1. Be the boss of your body! When you birth at home or at the SCV Birth Center, you can move around, lay down, take a bath, snuggle a loved one and eat and drink what you want, when you want. You are not confined to a hospital bed for monitoring. Their midwives monitor you and your baby in whatever position you choose to labor. After the baby arrives, moms who have birthed in the hospital will tell you that there's little rest. Shift changes, vital checks and your "roommate" keeping you up when your body needs to recover the most. SCV Birth Center births usually see Mom go home to the comfort of her own bed four to six hours after birth, with Mom's midwife making a home visit to check on her and Baby 24 hours after delivery. 2.Don't feel rushed to induce! Your midwife can explain how our understanding of "due dates" isn't an exact science. You won't be rushed to schedule your birth around your medical team's vacation plans or holidays. At the SCV Birth Center, they believe God's timing is perfect - yet know how to counsel you on what is best for you and your baby if you go well beyond your due date. 3. Don't make introductions mid push! 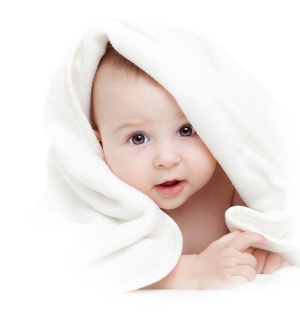 When you birth at the SCV Birth Center or at home, your birth team remains the same throughout your experience. In a hospital, nurses and - often enough, even doctors - come and go throughout your birth experience. - What is the sum of 1 + 2?